The diameter of this umbrella: 84 CM/ 33 inches. Length: 58 CM/22.83 inches. This Oiled Paper Umbrella is made of natural materials: bamboo, oiled paper. Please note that it is not waterproof,don't use it in rain. Great for Asian theme decoration, show and Wedding. Unique selection of paper lanterns, party lights, party decoration, wedding and table decor come in many styles to help make your next event unforgettable. Ships from Hong Kong. This beautiful umbrella is a traveling tool for daily use. Our paper umbrellas are beautiful as home decor (they look especially good when backlit!) and as party and wedding decorations. More and more, people are using paper parasols and umbrellas as party and wedding favors - they provide comfort and fun to guests during outdoor summer celebrations, and can be taken home as a memorable thank-you for the special day. 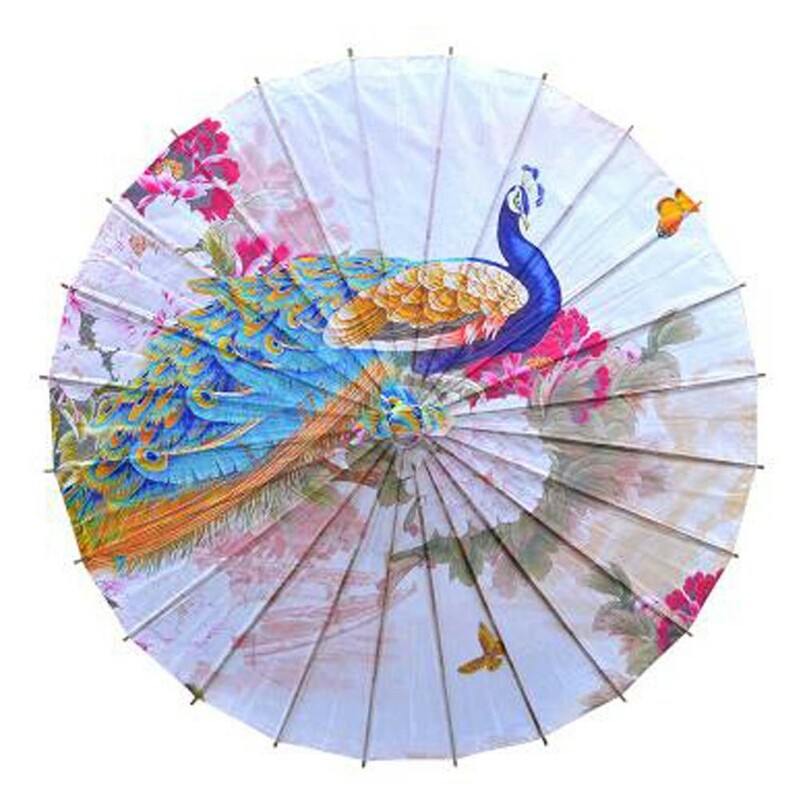 Bring a touch of China to your next event or into your home with our beautiful Chinese oil paper umbrella. Please note that it is not waterproof,don't use it in rain.